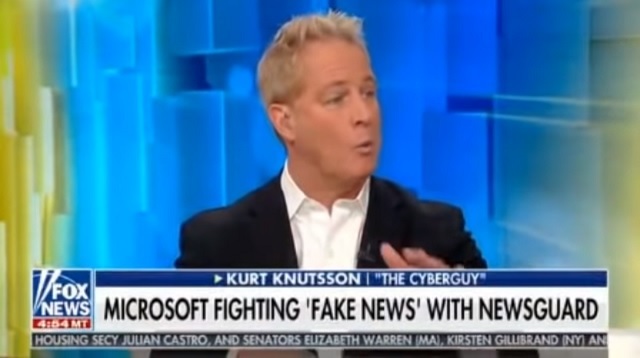 Fox News's Kurt Knutsson threw his support behind the neocon-backed alt-media blacklisting operation "NewsGuard" on Friday, telling Fox & Friends viewers the program is "fair" and a "good idea." I actually don't think they'll ever come for Fox News because the establishment doesn't view Fox News as a threat (outside of Tucker Carlson). This is purely about shutting down all alternative media because they're desperate to seize back the narrative. They're furious that we're able to expose their fake news hoaxes every single day -- as just happened most spectacularly with the Covington Catholic story -- and in a fit of desperation they're just moving to try and shut the actual free press down.